Back in the days before I was a teacher and before I was a mom, I was a computer programmer & designer and wrote business applications for a variety of different industries. Part of what I did during that time was to develop “train the trainer” classes and presentations. I would travel to various offices and train the people that would actually be training our customers or train the sale people who would be selling the software. Sometimes these were hands on classes and other times they were short presentations on the software. I also attended trade shows and technology conferences and would put on demonstrations of our software for people who visited our booth. So, I had presented before but I had never presented at an educational conference – that is until the T.E.L.L. Conference on October 9th. Last year, I attended this conference and decided this year that it was my turn to share at this conference rather than just attending again. I debated what I would present but since I had spent quite a bit of time during the summer learning online with a variety of free resources I thought something about being a lifelong learner for free would be a good subject to cover. I know at my school there is little (if any) money for conferences or other forms of professional development and I’m sure that we’re not the only school where this is the case. Most of the attendees at my session did not have laptops or even cell phones with texting ability so there went my techie interactive question. I should have known this would be the case and not planned on using an online tool but I think at least one person in the session thought it was a fun. For some reason my sound driver decided that it was corrupt the morning of the conference, so there went the video I was going to use to introduce YouTube and how you can learn anything on YouTube. I had too much material for the length of the session. I wasn’t sure how many questions I would get so I planned more material than I would need – too much more. Next time I’ll remember less is more – I feel I really rushed some things and would have liked to have had more time at the end for additional questions. I wonder if Prezi would have been a better choice for presenting since it’s not as linear as PowerPoint and may have been better for skipping things as time ran out? I have never been able to wrap my head around Prezi but I think I need to look at it again. I enjoyed the experience and hope to present at more conferences in the future. I have debated throwing my hat into the ring for the CUE LA Tech Fair but I see you have to bring your own projector (which I don’t have) and I’m not sure where my presentation idea would fit into the Curricular Areas on the Presenter Registration Form. Maybe I’ll think about the CUE OC Technology Festival instead. Brent Coley‘s Keynote, “Educational Technology: Without Why, How is Irrelevant”, was inspiring and full of advice on both why and how to use technology in the classroom. It’s great to have someone who is actually using the technology in the classroom be a keynote speaker. Kevin Honeycutt closed the day with a fun ending Keynote that unfortunately was marred by technical problems since he was presenting remotely. I just wish he could have been there in person or the connection had been better. I didn’t get to participate live but I have watched the archive of Diane Main‘s session, “Google Earth For All Grade Levels” and it was amazing. I just wish Google Earth worked on the computers in our lab. I can only run it on my laptop but I think I’m going to adapt some of the ideas and use Google Maps with my students. Sean Williams‘ session, “Give Your Students A VoiceThread”, has inspired me to use VoiceThread again. I do have a class subscription on VoiceThread but haven’t used it yet this year. I loved the ideas on differentiation and the examples Sean showed were great. And, don’t tell Sean, but I hope to someday be as good at presenting as he is! I would love to have attended both of Dennis Grice’s sessions and both of Greg Dhuyvetter‘s sessions and any session that Chris Bell does is always worthwhile. I lurked a bit outside of Stephen Davis‘ session and it looked amazing – if I hadn’t been trying (in vain) to fix my sound driver I would have attended that one! Thanks to everyone involved with the T.E.L.L. ’10 Conference – I had a great time, learned some new things and look forward to next year in Orange County! This past week it was time for another what’s wrong with education documentary. This time it was the film Race To Nowhere. I don’t work in an inner city school so much of what was in Waiting For Superman just wasn’t something I had experienced. I work at a small Episcopal school that like most schools could use more money but does not have the problems of the failing public schools. My daughters have both gone to private schools for their entire lives. They have both faced the pressure of doing well in order to get in to a good private high school in our area. I just went through the roller coaster experience of having my older daughter apply to colleges and be accepted by some and rejected by others. I guess her over 4.0 GPA & 6 AP classes just weren’t enough in some cases. I also wonder where the mindset that going to a junior college instead of going right into a 4 year college indicates failure has come from. That is the culture at my daughters’ high school and it’s one that I hear from the parents at my current school who have children in other high schools in our area. I’ve seen for myself that while my daughter was told that a 3 was a pass on an AP exam, a 3 gets you nothing in college – maybe it helped you get accepted but it gives you no credits. A 4 might give you an exemption from a lower level class and if you’re lucky a 5 will get you credit. I’ve watched my younger daughter, who started high school this year, stay up until 12:30am working on homework when she has to be up at 6:30am for school the next day. I’m trying to decide if my younger daughter is offered the AP track in high school if I should let her get on it. She doesn’t test as well as her older sister and she takes longer to get the work done so just because she has an “A” should she go into the AP class? If she doesn’t take the AP classes will it affect her chances to get into college? During college tours we were repeatedly told that admissions people look at what you could have taken at a school and what you did take and that it does affect your admission chances. At one point in the film, some successful college dropouts were shown such as Bill Gates & Steve Jobs. I just couldn’t help but wonder if the companies that these men founded hire college dropouts these days? As I struggle with some of these issues with my own children and wonder if I can convince my younger daughter’s school to have a screening of the film, I have to say that I am glad to be a teacher at my current school. We are certainly not a model of a 21st century school but we are a school that realizes that there is more to life than academics. We are a school that does limit the homework load and does not place an emphasis on standardized tests. The students do take standardized tests once a year in the spring, but our school culture is not one of teaching to the test – thankfully. The crisis in education in this country is real. There is too much emphasis on testing and racing to the top or not leaving a child behind (by whatever name it’s currently called) and there is a definite inequity of access to quality education. We need real discussions about this and not the media hype that’s been going around lately. I would urge everyone to read Chris Lehmann: This Isn’t An Education Debate and attend or view the archive of Elevating the Education Reform Dialog. Many of the educators that I follow have been talking about the movie, Waiting For Superman, and Oprah’s recent shows on the topic and Education Nation. I have sensed a lot of frustration in the messages in my Twitter feed and wanted to see the movie myself before I made any judgment on it and how it portrayed the problems and the solutions. This afternoon, I headed down to Hollywood and saw the 3pm showing of it. I wonder where the statistics in the movie came from? What is the spin on them? Have I mentioned that I tend to be cynical about things at times? Charter schools are not the be all & end all in the solution to the education problem. There are great charter schools and lousy charter schools. There are great neighborhood public schools and lousy neighborhood public schools. The pouring information into kids’ heads cartoon was somewhat creepy and so not 21st century learning. I agree we need good teachers but how do we judge what makes a good teacher? 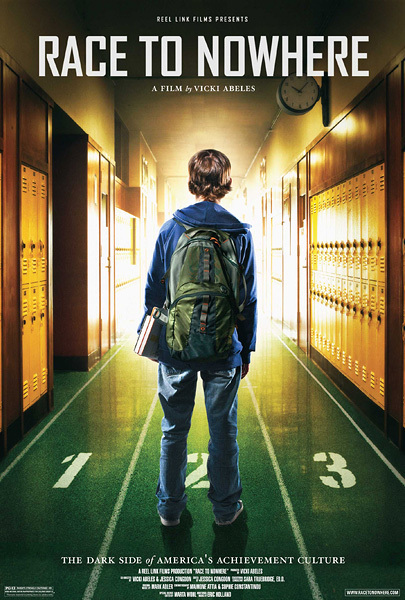 Typically, the film seems to indicate it’s all about the test scores. How sad it was that the one private school in the film was so heartless. I am glad that the private school where I work does not do this. Why must someone or something be vilified in order for something or someone else to be good? Is there really a black & white here? On a positive note, it’s nice to have most of my ticket price refunded in the form of a DonorsChoose Gift Card. Cynically, I wonder who’s funding these? I’m not sad for the students highlighted in the movie. I believe that they will be fine. They have parents or guardians who care and who will fight for them. They have goals and want to succeed. I’m not sad for my students. I work in a small private school. The parents are involved and care very much about their child’s education. The students want to learn. Our teachers care about the students and work in partnership with the students and their parents to help each child succeed. The opportunity is there. I am sad for those students who do not have the support at home. So often, they’re lost before they even start. They can’t apply to the charter schools. They don’t know how to work with (or against) the system to get what they might need. I am sad for our nation. We have the resources to provide the best education to all of our children. They deserve it and as a nation we need to do it. I am afraid that the discussions around the film could end up pitting teachers against teachers, parents against teachers and schools, our government against schools and teachers. Who would that help? Don’t we all just want what is best for our children? Have you see Waiting For Superman? What are your thoughts? Last night I had the opportunity to meet and spend some time talking with Amanda Marrinan who is an amazing educator from Brisbane Australia. Having been unable to attend ISTE 2010 in person, I had missed out on all of the connections that happened there so I was thrilled when the last part of Amanda’s adventures landed her in Los Angeles. Her students do amazing things and make connections with other classes around the world. I had been inspired by Amanda, Maria Knee & Kathy Cassidy’s ISTE 2010 presentation, Let’s Do It: Planning for Technology in Early Childhood Classrooms, and in person I was again inspired by Amanda and her description of her inquiry based classroom and her enthusiasm for technology in the classroom. Hahaha! my mother, a computer teacher who teaches kids not to meet someone they only met online, is now out meeting someone she met online. We also talked about how we should always first meet in a public place and how, as a teen, she should always make sure that an adult is with her if she’s meeting someone that she’s only met online. All of this led me to wondering about what and how I teach Internet Safety and Digital Citizenship. I had reflected on some of this before in my Building Digital Citizens blog post but this has now become about the tools that I’m using to teach. Almost every one of them stresses to never meet someone offline that you’ve only met online yet I have some amazing friends that I have made and met that I first met online over a common interest. So, how do I teach that sometimes it’s okay? At what age does it become okay? If I say it’s okay sometimes will that give a potentially at risk Middle School student permission to go meet that person they shouldn’t be meeting? For those of you who try to teach Digital Citizenship, what do you teach about this issue? For those of you with children, what do you teach them? Thank Stephanie for all the work she put into her mini course. I have always been a when the mood hits me kind of blogger. I have come to realize that if I really do want to build an audience for this blog I do need some kind of schedule so people have a reason to come back. I’m just not ready to commit to blogging every day. I may get there but I know if that’s the schedule I try to set that I won’t do it and I’ll just feel guilty about it. I have decided that I am going to try to blog at least once a week. During the school year, I will post what worked and what didn’t that week in the lab. I also plan to post at least some detailed information about projects as each one ends. I can’t put a time on that because it will vary but I can post something every week. During holidays and summer vacation, I know I can find something to blog about every week and I intend to do it. I’m not sure which day will be best for this – I’m leaning toward Mondays – but I’m not making that decision just yet. Once school has started again and I see what my schedule is going to be like – not only for school but for my mom duties too since my youngest daughter is starting high school this year – then I can decide which day of the week the blog will definitely be updated. How did I model these best practices in this mini-course? Some of the assignments were not really natural to me at least as a required exercise. Looking back at my previous blog posts, I see that I already do a lot of what was discussed during the course. I do think all of the assignments have value and they all add interest to a blog, but I had to stretch to actually do the assignment sometimes. Like I said I’ve been a when the mood strikes me kind of blogger so it was good thing to stretch and create a post even when the mood wasn’t really striking me. Things like setting and keeping a blogging schedule and engaging with media and discussion questions will help to draw in readers for my blog. I need to remember that I shouldn’t be a sage on a stage here any more than in the classroom! What strategies did I incorporate to encourage participation and a more social (engaged) learning environment? I tried to do incorporate all of the suggestions (except new pages since I already had the ones I wanted) as they were made but doing them once won’t suddenly make my blog more engaging or encourage better participation. I think for me the biggest strategy that I need to incorporate is blogging on a regular basis. I also need to make sure to not only read other blogs (you should see my reader – it’s out of control!) but to comment on them too. How might you incorporate everything you have learned in this mini-course in your own edublog — whether your audience includes students or other educators? My plan is to start NOW and to blog consistently once a week about something related to technology in education and to make it a point to comment on at least one other blog a week. During the school year, there really is plenty to blog about – then it’s about making the time to do it. During the summer, I can spend more time finding current events and things that I think will be interesting to use as subject matter for my blog. And finally, thanks to Stephanie for putting this together – it got me to blog regularly at least for 7 days and it made me think about the things I should be doing.